It was in early 2016 when Highland Park released the Ice edition. As a limited release scotch single malt whisky with a nice packaging and a rich marketing background story it was clearly targeted at the collector´s market. The initial retail-price of more than 200 Euros also reflected the quality and rarity this Highland Park bottling claimed for itself. However, upon release the Ice edition was met with, lets say, moderate excitement. There was, probably, one major reason for this. Marketing a scotch single malt whisky of which there exist 30.000 bottles as a rare “limited release” is, to put it mildly, creative. This even caused us to take a closer look at what “limited releases” in the single malt universe really means. In our article from May 2016 we found that the Ice edition was indeed the second most “unlimited limited release” only topped by the Talisker 175th Anniversary Edition of which once 60.000 bottles existed. The same holds for the Fire edition of which 28.000 bottles were released. So the thing with the Fire and Ice editions was that many felt like Highland Park designed this whiskies only to directly participate from the ever-increasing prices we observe on the secondary whisky market. And as we observe the whisky auction market, we can now have a look at how these two editions do on auctions about one year after they have been released. But first, since this series is called Taste ‘n’ Stats, we turn our attention to the most important thing about whisky, the taste of it. For this purpose, we once again do not rely on our novice tasting senses but give the word to Words of Whisky, a great resource for whisky tasting notes. Words of Whisky gives 87 out of 100 points to the Ice edition and 88 points to the Fire edition. The review closes with the statement “They are still way too expensive though”, and that’s where we pass on to the stats. Both the Ice and Fire editions are still available on the primary market. Considering the number of released bottles this is of no surprise at all. Prices are still way beyond 200 Euros per bottle. On auctions, the first thing we notice is that the Ice edition is much more traded than the Fire edition. For the Ice we have 92 price observations while for the Fire we only find nineteen. Both these releases show a pattern we regularly observe for many Highland Park bottlings (why we don’t know). These are extreme prices paid once these bottles come on auction for the first time. In the case of the Ice edition there were more than 500 Euros (!) paid in March 2016. The first price of the Fire edition was 300 Euros in December 2016. But ever since the prices dropped for both the Fire and Ice. Some of the latest observations from July 2017 even fell significantly below the 200 Euros threshold. Since both of these bottlings are still broadly available, we of course do not expect this prices to climb drastically somewhen soon. The Highland Park Fire and Ice definitely did not cause any hype on the secondary market. Even more, prices dropped below the primary market level just recently. If a 30.000 bottle release can ever get a true collector item we don’t know, but time will show. We conclude that these two Highland Park editions are decent whiskies with nice packaging. However, they are still expensive. If you plan on buying one of these and you are familiar with whisky auctions it is worth considering the secondary market option. 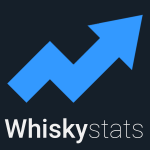 This is the next step for the Whiskystats project! By letting you define your custom buy and sell prices we move closer to your collector´s reality. For the same reason, we now let you manage up to seven different personal collections. This topic contains 0 replies, has 1 voice, and was last updated by Whiskystats 1 year, 7 months ago.